Rapunzel can throw a knife better than any man around. And her skills as an artist rival those of any artist she's met. But for a woman in medieval times, the one skill she most desires is the hardest one to obtain: the ability to read. After yet another young man asks for Rapunzel's hand in marriage, Mother decides they need to move once again, but this time to a larger city. Rapunzel's heart soars---surely there she can fulfill her dream. But Mother won't let her close to a man. She claims that no man can be trusted. After being rescued by a knight on the road to the city, and in turn rescuing him farther down the road, Rapunzel's opportunity arrives at last. This knight, Sir Gerek, agrees to educate Rapunzel in order to pay back his debt. She just has to put up with his arrogant nature and single-minded focus on riches and prestige. But this Rapunzel story is unlike any other and the mystery that she uncovers will change everything---except her happily ever after. The one who needs rescuing isnt always the one in the tower. Fiercely devoted to Rapunzel, her mother is suspicious of every man who so much as looks at her daughter and warns her that no man can be trusted. After a young village farmer asks for Rapunzels hand in marriage, Mother decides to move them once againthis time, to the large city of Hagenheim. The journey proves treacherous, and after being rescued by a knightSir GerekRapunzel in turn rescues him farther down the road. As a result, Sir Gerek agrees to repay his debt to Rapunzel by teaching her to read. 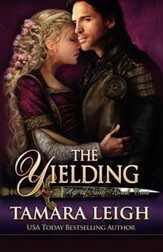 Could there be more to this knight than his arrogance and desire to marry for riches and position? 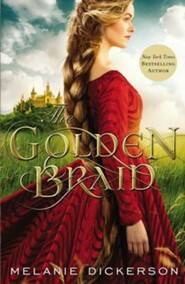 "The Golden Braid is a delightful, page-turning retelling of the story of Rapunzel. 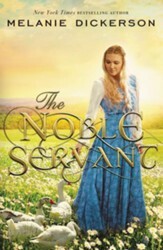 Dickerson brings this familiar fairy tale to life with a fresh and unique plot that is full of complex characters, a sweet romance, and danger at every turn. Rapunzels search to understand her place in the medieval world is a timeless identity struggle that modern readers will relate to. Her growing courage and faith are inspirational and will have readers cheering her on and sad to see the story come to an end." 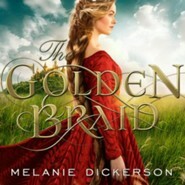 Melanie Dickerson is a New York Times bestselling author and a Christy Award winner. 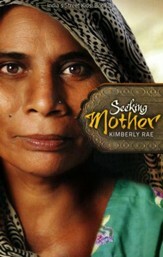 Her first book, The Healers Apprentice, won the National Readers Choice Award for Best First Book in 2010, and The Merchants Daughter won the 2012 Carol Award. Melanie spends her time daydreaming, researching the most fascinating historical time periods, and writing stories at her home near Huntsville, Alabama, where she gathers dandelion greens for her two adorable guinea pigs between writing and editing her happily ever afters. Visit her online at MelanieDickerson.com; Facebook: MelanieDickersonBooks; Twitter: @MelanieAuthor. I'm the author/artist and I want to review The Golden Braid #6.